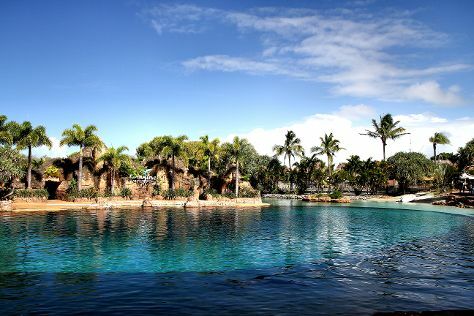 On the 1st (Fri), get up close and personal with brilliant marine life at Sea World Theme Park and then get in on the family fun at Infinity Attraction. To find ratings, more things to do, traveler tips, and other tourist information, read our Gold Coast driving holiday planning tool . Mumbai, India to Gold Coast is an approximately 20-hour flight. The time zone difference when traveling from Mumbai to Gold Coast is 4 hours. While traveling from Mumbai, expect a bit cooler days and about the same nights in Gold Coast, ranging from highs of 32°C to lows of 23°C. Wrap up your sightseeing on the 1st (Fri) to allow time to drive to Brisbane. 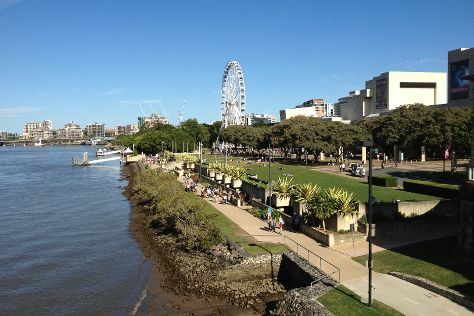 Start off your visit on the 2nd (Sat): contemplate the waterfront views at The Brisbane River, then find something for the whole family at Wheel of Brisbane, and then walk around South Bank Parklands. On your second day here, identify plant and animal life at Lone Pine Koala Sanctuary, then take some stellar pictures from Mount Coot-tha Lookout, and then stop by Noosa Chocolate Factory. For traveler tips, ratings, maps, and tourist information, use the Brisbane driving holiday planning website . You can drive from Gold Coast to Brisbane in an hour. Other options are to take a bus; or take a train. In March in Brisbane, expect temperatures between 32°C during the day and 23°C at night. On the 4th (Mon), you'll travel back home.